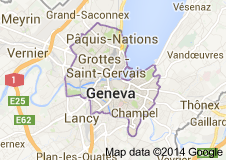 As well, be sure to check out Geneva’s famed Market Street to buy a Swiss watch or just window shop. Whatever your interest, Geneva has a wide range of hotel options to accommodate your stay offering renowned service and easy access to the city's major sites. This comprehensive walking tour begins on the shores of Lake Leman along Geneva's right bank with stunning views of the Alps beyond and the towering Jet d'Eau – the world's tallest fountain. 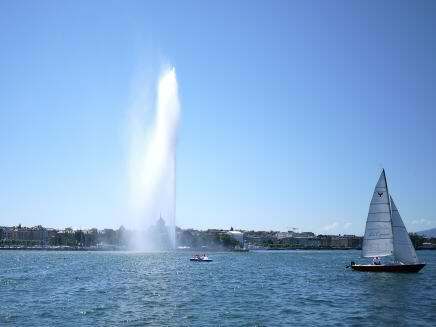 The tour continues along Geneva's park-like promenades and on across the of the Rhone River into Geneva's ritzy shopping and banking district. After that it's on to Geneva's Old Town, a Gothic maze of cobblestone streets topped by historic Saint Peter's Cathedral and the Town Hall where the League of Nations and the Red Cross were founded. Finally wander down along the old city walls to Geneva's theater district and center of culture at Place Neuve. We end the tour in beautiful Bastions Park for a glimpse of Reformation Wall containing the effigies of Geneva's founding fathers. The Old Town – Stop into Saint Peter's Cathedral and then just wander the maze of cobblestone streets and discover Geneva's secrets for yourself. For more a more historical perspective, head to the Art and History Museum or the Maison Tavel – the oldest house in the city. Make sure to leave some time to check out wonderful antique boutiques located throughout the old town..
Carouge – Hop across the L'Arve River to the Bohemian burg of Carouge modeled after Nice, France and filled with quaint boutiques where you can actually observe the artisans at work in their studios. Relax in one of Carouge's artsy cafes or hang around until after dark to party in one the neighborhood’s famous jazz clubs. Plainpalais Flea Market – Mingle with the locals at Geneva’s largest outdoor flea market open Wednesdays and Sundays from 08:00 to 17:00 rain or shine (even though during rainy days its almost empty). Antiques, records, vintage clothing and other curios await savvy bargain hunters.